We’re excited to share an inside look into one of our newest oral history projects: Ferguson Voices. Ferguson Voices turns to the people of Ferguson, Missouri—activists, pastors, police officers, elected officials, teachers—to explore what made their community such a flashpoint for the conversation around civil rights, racial justice, and equality following the death of Michael Brown Jr. in 2014. Ferguson Voices is one of six projects Voice of Witness is currently incubating through the VOW Story Lab, which provides oral history training, editorial guidance, and project funding to human rights storytellers in need of institutional support. Click here to see how you can support this and other projects today. We hope you enjoy the interview below withFerguson Voices editor Jimmie Briggs. 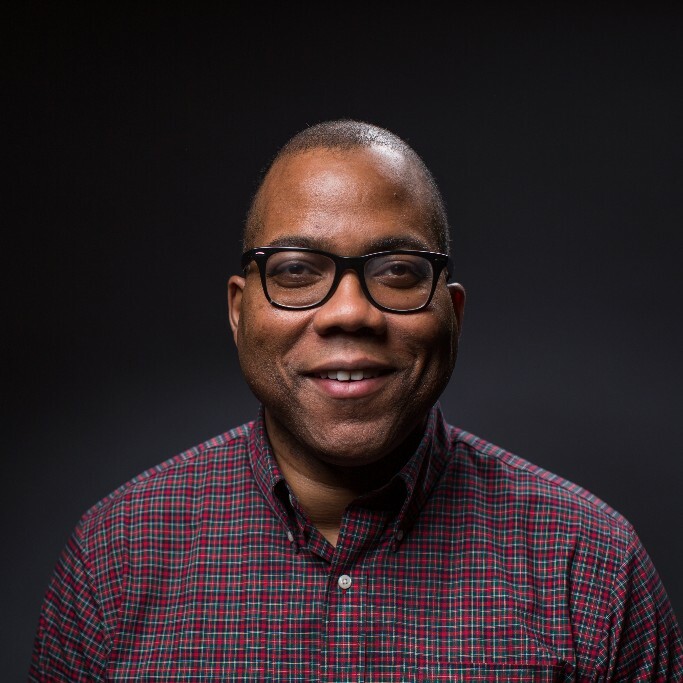 A bout the editor: Jimmie Briggs is an award-winning journalist and human rights advocate who grew up in St. Louis, Missouri. How did you become invested in this issue? I am originally from the St. Louis/Ferguson community, and my mom was a middle school teacher and then a high school guidance counselor there. I was inspired to create this project in response to what I’d felt was an incomplete narrative presented by the national media about the community of Ferguson and the people who live there following the death of Michael Brown in 2014. Can you tell us about one compelling moment you’ve had so far? Recently I had the opportunity to attend a multi-racial meeting of Fergusonians at a local white church. At first glance, it would’ve seemed an unlikely group of people coming together to talk about race and healing. Consisting predominantly of middle-aged to older white residents, I was one of three African-Americans present. Over several hours, I listened as people spoke of deeply felt trauma about the community divisions, and their own fears about the future. They weren’t a monolithic group—even in their skin color—but they were searching and hoping for common ground. What emerged were voices and individual journeys that I had yet to hear depicted in the broad media coverage about Ferguson. The longtime traveling salesman who’d met enough people across the country to learn that not only was everyone a potential customer, but they were also equal. Or, the older couple originally from a rural Western state who recounted telling their workplace colleagues upon moving to the community that to them, “soul food” was simply what they called “down home cookin.” Then there was the co-pastor of the church where the meeting was taking place. The church’s congregation was white, as was he, but his wife was black. How are you involving the community in the project? What would support allow you to do this summer/fall? The Ferguson community will have an integral role in the project. I’ll be doing key oral histories myself, but I also intend to train local residents to interview each other. I’m hosting information sessions and open conversations as a way to introduce myself and the project, but also to find people who want to tell their stories. Moving forward with the project through the fall means having the resources to make regular trips between my home in New York City and the Ferguson community, as well as having the necessary transcription services, and financial stability to focus on interviews and research in a strategic manner. There’s already buzz, and I’m excited. This trip is really about saying, We can do this. I’m doing it, and I want to hear why you want to be part of it. Let’s work towards making something special. Get the latest updates on Ferguson Voices. Join VOW’s mailing list. Click to help Jimmie amplify unheard voices in Ferguson, Missouri.